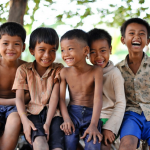 Home › One Step 4Ward Blog › Help Us Build A Playground For the Burmese Kids in Thailand! 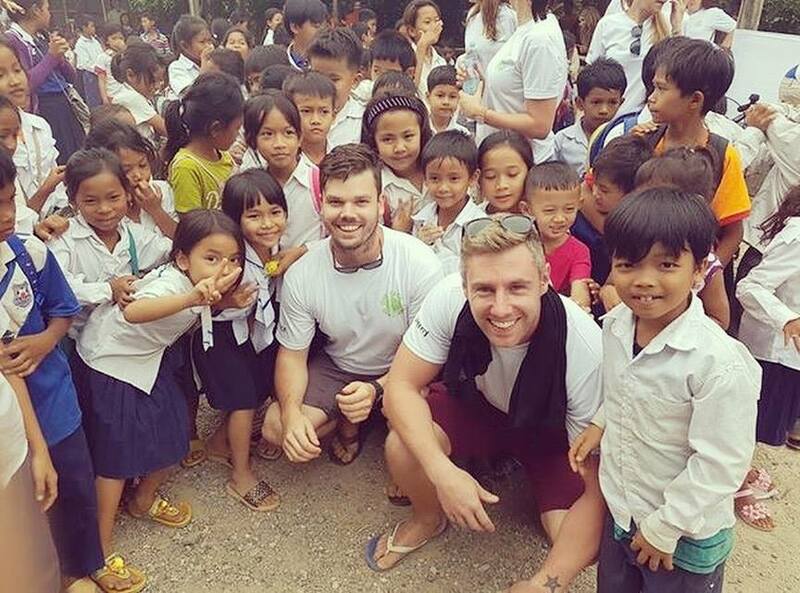 HELP US BUILD A PLAYGROUND IN THAILAND IN 2017! 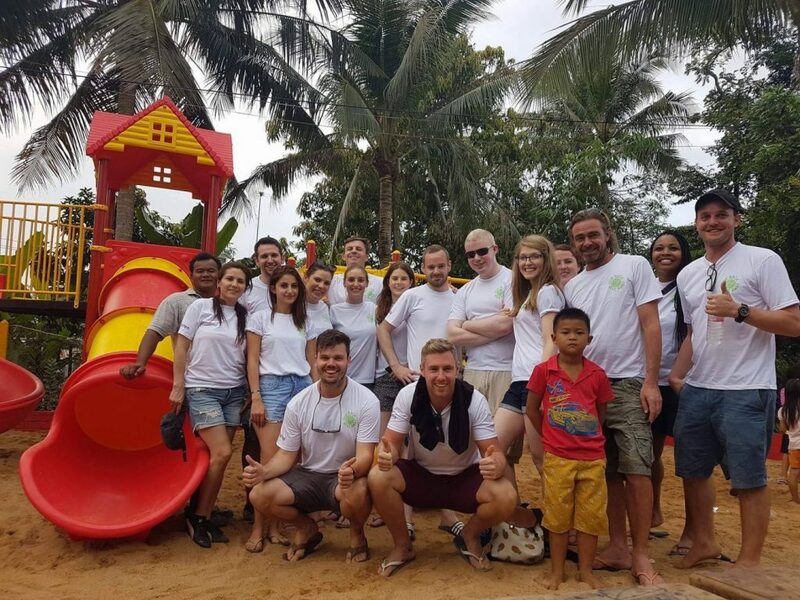 The awesome GiveBack GiveAway team in Cambodia 2016, in front of the playground we built! Time for something pretty epic! Those of you legends who follow my travels to every country in the world on either FaceBook.com/onestep4ward, Instagram.com/onestep4ward, Twitter.com/onestep4ward will have seen that a couple of years ago my large faced Canadian buddy Josh and I founded a pretty awesome charity kinda by mistake, the GiveBack GiveAway, where we will fly one person from ANYWHERE in the world for free, then travel for 2 weeks around Thailand, for free, and help build the playground for our local partner school! Pretty cool, to win all you have to do is donate to chuffed.org/project/giveback-giveaway-2017 $10 enters you once, $25 3 times, $50 6 times, $100 12 times etc etc. And the fundraising stops this weekend, just 3 days lef to help, donate, share and enter! 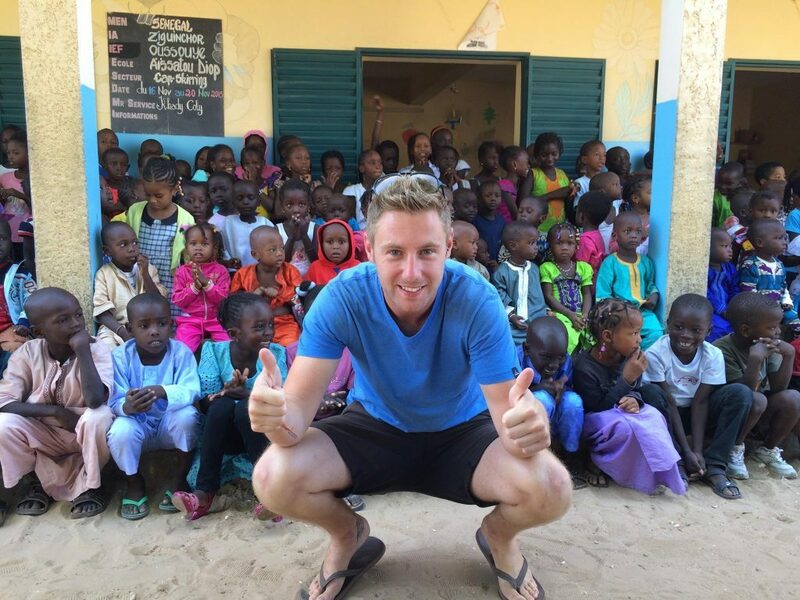 Our first year, in 2015, we ran some projects in Senegal, took a tour group around both the Gambia and Senegal, made some new friends for life and learned a lot about charities, grassroots projects and how to run tours. It was stressful but amazing. 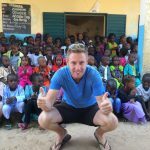 The GiveBack GiveAway in Senegal, 2017! 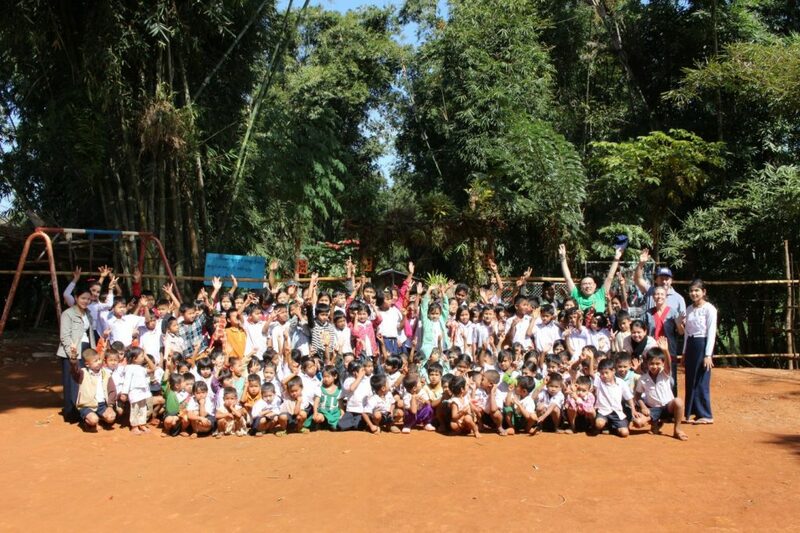 The happy Cambodian kids after we finished their playground! This year we’re going for something even better still. Myanmar (or Burma as it used to be known) had been under dictatorship for years, so a lot of ethnic minorities fled to neighboroughing Thailand to avoid the harsh brutalities they were exposed to. 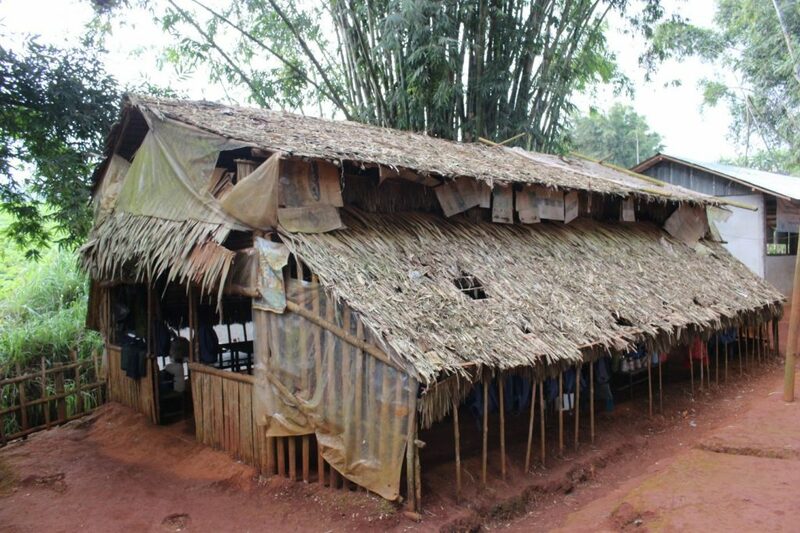 Now, despite being ‘Burmese’, they lived on the Thai side of the border. Some local and international charities and NGOs came to the border region to help, which was great. Schools were built, funded etc. But a couple of years ago, Myanmar had democratic elections, and the country opened up. Almost instantly all the charities and NGO’s got up and left the border region and went to Myanmar proper, leaving the Burmese migrant communities on the Thai side with no funding and no idea who to turn to. Since then the schools have struggled, and the facilities have fallen apart. We don’t have the funds or expertise to fix all the problems of course, but what we can do is inject a little fun, a few more smiles and a bit of colour to our partner school on the border. 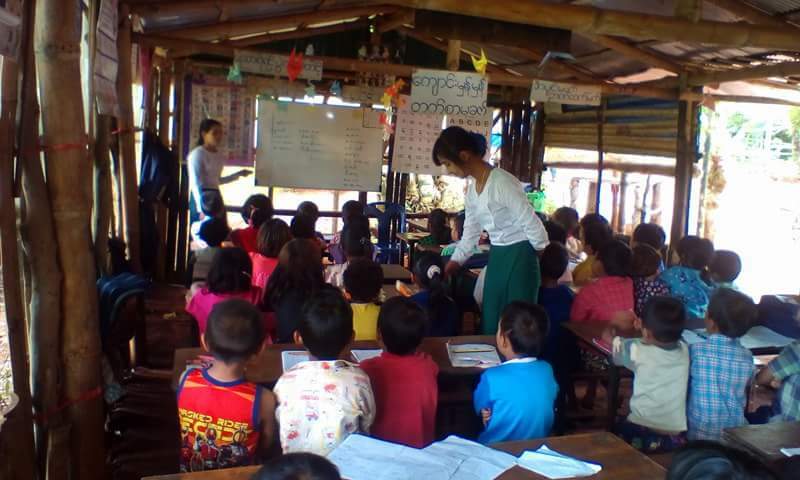 We have partnered with ‘Hope School’, an hour or so north from the border town of Mae Sot. Kids being kids, school can be boring, but education is the key to breaking the cycle of poverty, so carrying on from our playground project last year, we want to encourage the Burmese migrant kids to come to school each day, have some fun and further their education. So we’re building them a playground, painting the school, and with the funds we have left let’s see if we can organise books, pens, and other things the school is lacking. And we need your help! So we are trying to raise $10,000 (or more!) to build the playground. With 3 days left we have raised $8,500 of the $10,000 minimum goal, please help us raise our last $1500. All we need is 15 generous people to donate $100 each, or 30 people $50 each, or 60 people to donate $25 each, I know we can do it! AND you can win a free trip to come and help us too! 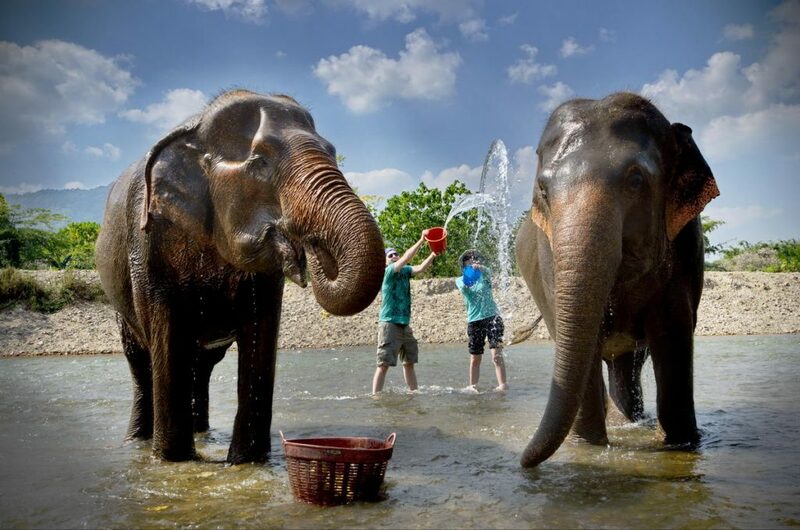 Volunteering for a day at the elephant sanctuary will be a huge highlight, and is included in the price! Welcome to Thailand! Today we meet one another in Bangkok and head out to enjoy the city in one of the best ways possible. Night markets! Take a good look at the city, because it will be your last for a while. Today we will take a flight north to Mae Sot. Here we will meet the team who will be running our giveback projects on the tour. Here we go! Today we begin working at the school, building the playground and making the kids smile! Today we continue working at the school, building the playground and making the kids smile! Today is our last day working at the school, building the playground and making the kids smile! Are work at the school is done. Today we will travel a few hours to Sukothai for a quick stop-over. 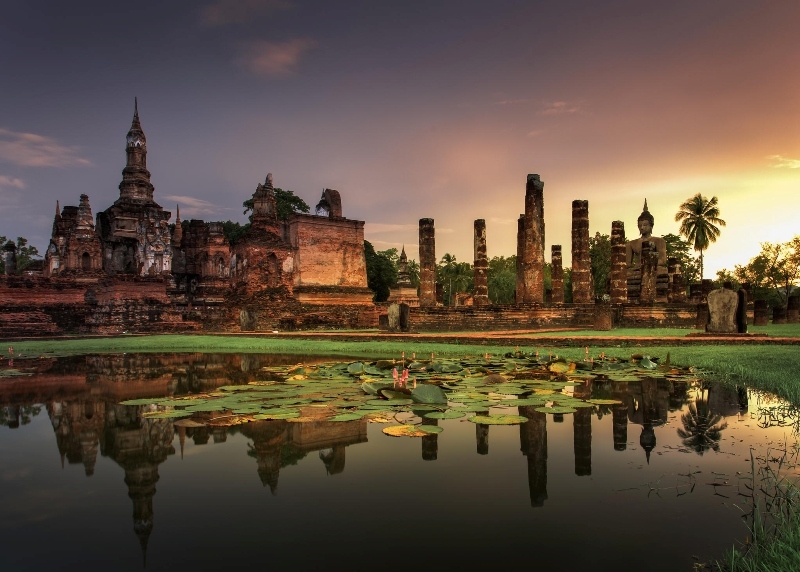 In the afternoon we will check out the famous Sukothai temple and enjoy a well deserved drink. Off to a new destination today. 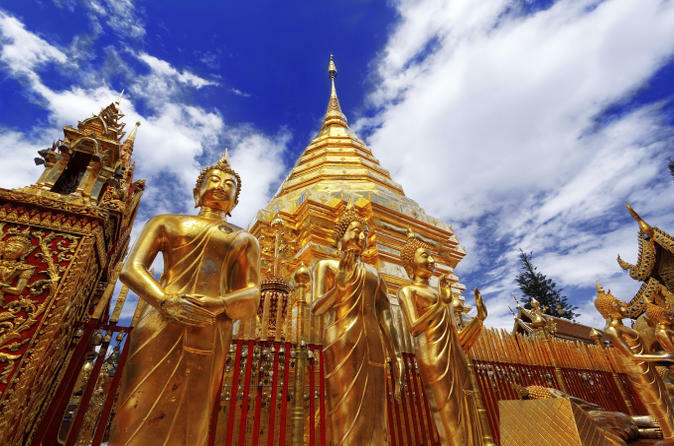 We travel to Chiang Rai one of Thailand’s most under appreciated cities. The day will be long but the journey will be a blast! 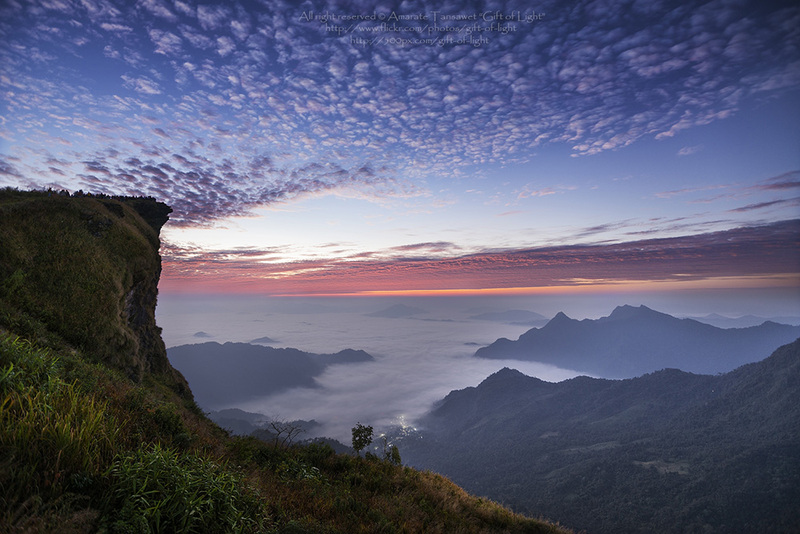 Early alarms this morning to visit one of Thailand’s most spectacular sunrises at Phu Chi Fah. In the afternoon we will relax and have a scenic lunch by the river and then check out the tea terraces. In the evening we will hit the town. We’re off on the short journey to Chiang Mai this morning, but not before we visit the famous White Temple. Once in Chaing Mai we can relax, have a nice riverside dinner and get ready to enjoy a brilliant couple of days in the Northern Capital. We hope you like elephants because today we’re going to be spending a night with them in the jungle. Wake up and have breaky with the Karen tribe before we head back to the Chaing Mai and enjoy the Doi Suthep Tour. It’s a free day to explore Chiang Mai! 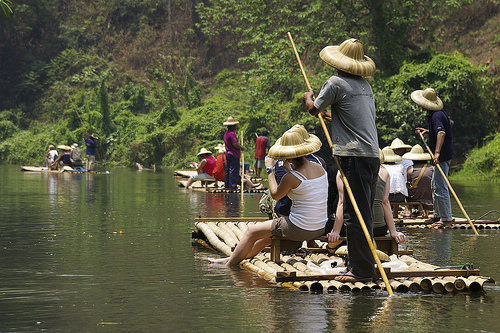 Bamboo Rafting, Trekking, Swimming holes, are just some of the many things to do. Enjoy the last day in Chiang Mai exploring, relaxing or learning. How about a Thai cooking class. 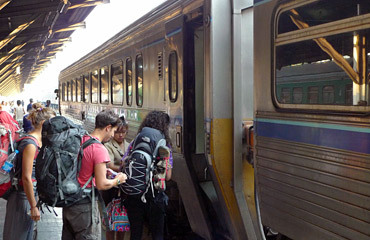 In the evening we are going to take the authentic experience back to Bangkok on the night train. It’s our exit day. 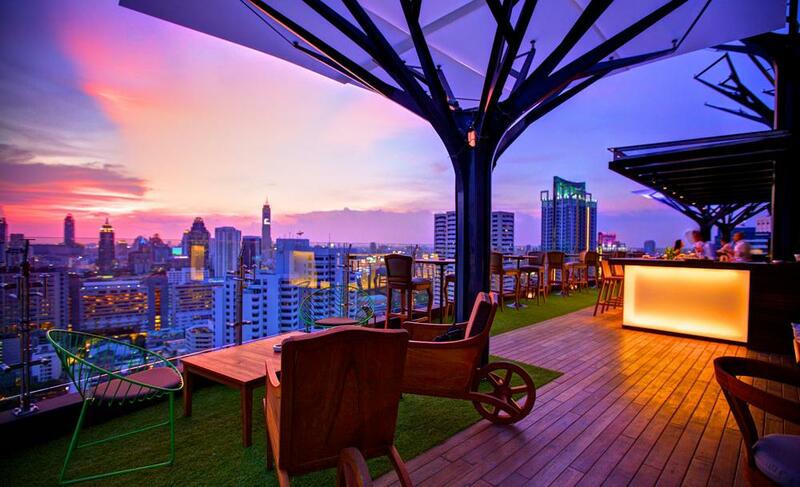 You’ll have the day to explore in Bangkok. Consider spending a few more night to explore this world class city but if you need to go make sure to book your flight home in the evening. So building a playground sounds pretty amazing right? And the tour is just unreal! But how do you get involved? Firstly, you can donate to the cause, enter yourself into the competition and do all of this for free, we need your donations so please share this article and donate what you can, and hopefully we’ll see you in Thailand! Secondly, if you have donated, and weren’t lucky enough to win, we will be selling 11 tickets only on a first come-first served basis! We will start selling the tickets the second that we do the draw for the winner from the fund raising, and that will be Sunday night, Ireland time! Prices will be $1799 and that includes pretty much everything except for international flights, food, alcohol and any additional activities you guys want to do when we’re on the road. Remember, we honestly only sell 11 spots, and last year we sold 10 in the first 2 hours. 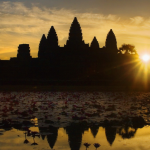 This is honestly the trip of a lifetime, so make sure you book your spot! Drop me a message if you’re interested and we can see what we can do! You had an amazing experience there and this post is very nice, a lot of interesting things you have shared. Stunning pics. Thanks. It is great blog.